When you want an air conditioner company in Woodland Park, CO that is affordable and dependable, call Green Tech Heating & Cooling today! For the last couple of years, our company has provided this community air conditioner services that provide them with amazing cooling. If you are looking for heater services on top of air conditioner services, you are in luck! Our company provides both air conditioner and heater services. 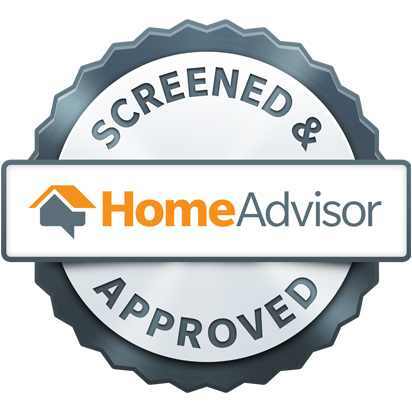 To get exceptional heating and air conditioning services for your home or company, contact our contractors at (720) 276-1403 to schedule an appointment! Our contractors are eager to deliver the greatest services for your air conditioning, so contact Green Tech Heating & Cooling anytime! Air Conditioner Replacement and Installation Call our technicians when you are in need of AC replacement or installation service. Air Conditioning Maintenance To get annual upkeep for your air conditioning, feel free to contact our technicians. Air Duct Sealing, Repair & Installation Our ductwork services include sealing, repair, and installation services. 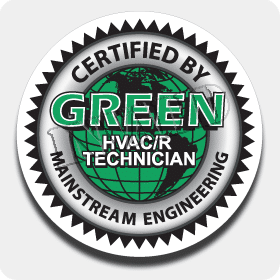 Central Air Conditioning Repair For clients who want their central air conditioning fixed, contact Green Tech Heating & Cooling. Emergency Air Conditioner Repair If you are ever in a predicament where you require air conditioner repairs immediately, call us for air conditioning emergency repair service. Indoor Air Quality Our company provides air purification, filtration, and whole humidifiers to provide greater indoor air quality. If its freezing and you require your heater for warmth, getting repairs when your heater isn’t performing like it needs to is vital. At Green Tech Heating & Cooling we are able to assist you when you require quality repair service. No matter if you have a gas furnace or central heating system, our technicians are able to fix any kind of heating unit that is broken. When the heater is too damaged, our contractors can replace it with a newer heating system. Reach out to our heating and air conditioner company in Woodland Park, CO at (720) 276-1403 if you require heater services! Boiler Repair & Replacement If you want boiler repair service or replacement service, just contact Green Tech Heating & Cooling to make an appointment. Central Heating Repair For repair service for your central heating unit, you can count on our professional heating service. Electric Furnace Repair & Replacement Exceptional electric furnace repair or replacement can be yours at an affordable cost when you call our contractors today! Electric Heat System Repair Receive reputable electric heating unit repair service by contacting us right now! Gas Furnace Repair and Replacement Get in touch with our HVAC company when you should need repair service or a replacement for your gas furnace. Heating Maintenance To Decrease repair service or a total heater failure, call our crew for heating upkeep. If you are a commercial property owner considering AC and heating services, we are able to help you! Our heating and air conditioner company in Woodland Park, CO is able to mend air conditioners, gas furnaces, and electric heating! Our company wants to guarantee you have no loss of efficiency and that your employees are comfortable as possible, so contact our technicians at (720) 276-1403 if you require heating or air conditioning services for your commercial heating or cooling system. Commercial Air Conditioner Repair Our commercial HVAC technicians can supply you with skillful cooling services. Commercial Boiler Repair Receive professional and cost-effective boiler repair service today if you contact our commercial HVAC contractors. Commercial Boiler, AC & Furnace Service Our crew of technicians are able to repair your air conditioner and heating unit, and also provide maintenance and cleaning. Commercial Furnace Repair Whenever you need repair service for your commercial furnace, recognize that you are able to rely on us for valuable service. Commercial Rooftop HVAC Repair Have your commercial rooftop HVAC unit repaired immediately when you contact our contractors! There are various heating and cooling parts in your heater and air conditioning system that work together to make the unit operates effectively. The most common ways heating and air conditioner parts stop working is because of faulty installation or insufficient upkeep. Fixing the component will be our first course of action, but we will completely replace the part if it’s beyond repair. Get in touch with our heating and air conditioner company in Woodland Park, CO at (720) 276-1403 if you need a repair or a replacement for heating and cooling parts. AC & Heater Capacitors Replacement Have your AC or heater capacitors replaced when you contact our heating and cooling contractors. HVAC Blower Repair & Replacement If the blower in your air conditioning or heating unit is defective, we will either repair it or completely replace it. HVAC Circuit Board Replacement Since the circuit board is similar to the brain of a heating or cooling system, please call our technicians for a replacement when yours is failing. HVAC Relay Replacement If our technicians see that the HVAC relay is damaged, we will replace it with newer and upgraded relay. HVAC Thermostat Repair, Replace & Upgrade To receive a replacement or repair for your thermostat, call our team! Our HVAC company also provides updates on thermostats.